In the town of Matera the old town is very different than typical hilltop Italian towns. Instead it boasts Sassi, which are caves carved into the rock. The caves were actually homes for the residents of Matera until the 1950s when they were forced to relocate and become part of the modern world. Today the Sassi is an UNESCO site and some of the caves have been "modernized" into restaurants, museums and hotels. The city is currently experiencing a resurgence and has been designated the European Culture Capital for 2019. 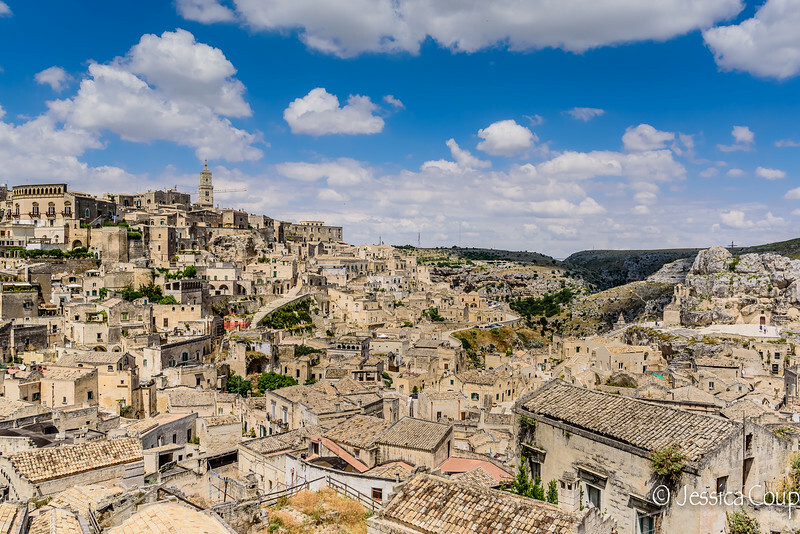 While many caves still are boarded up and abandoned, Hollywood has used Matera and the Sassi in the famous spaghetti western movies and most recently the Passion of Christ and the remake of Ben-Hur with Morgan Freeman.